NCC Knives custom folders are a testament to fine knife-making and the inherent value and beauty of a well-crafted knife. 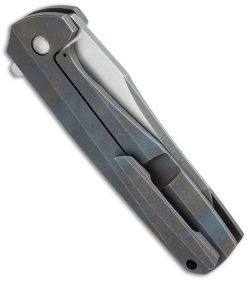 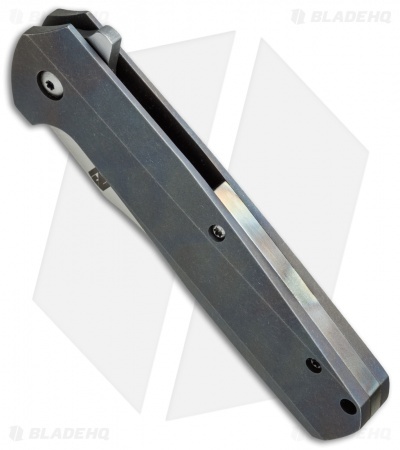 This Valkyrie flipper has a full-titanium handle with a heat colored finish. The handle is tumbled and the D2 steel back spacer stands out with its satin finish. 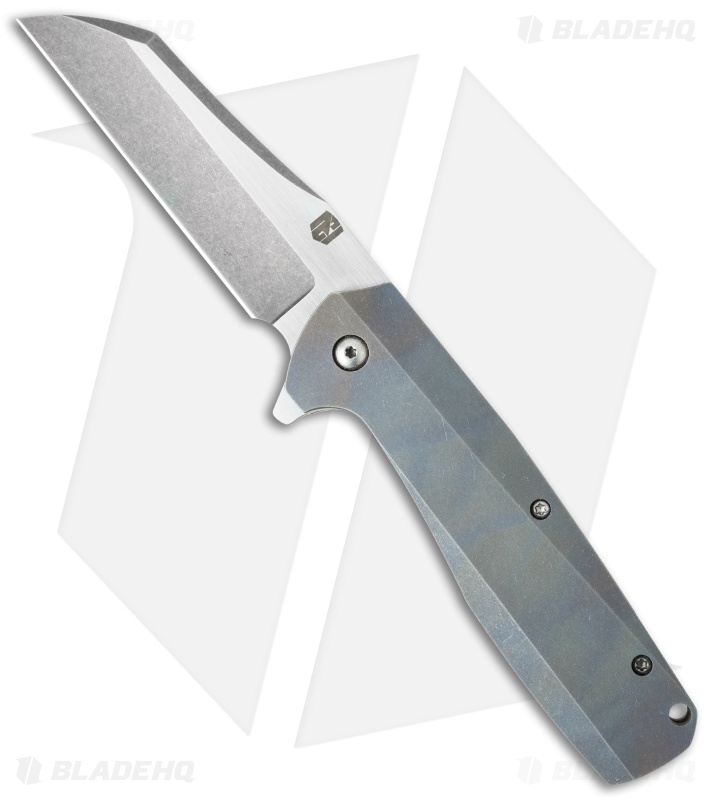 The wharncliffe blade is two-tone finished with satin flats and acid washed grinds and spine details. The Valkyrie knife has substance and style that, like any fine heirloom, is timeless.